Based on Edwin O’Connor’s 1956 novel, the film opens with the superimposed words ‘A New England City’, but you’re not fooling us New Englanders, Mr. Ford… we know that ‘city’ represents Boston and it’s Irish-dominated political scene! We’re taken inside a stately manse, where we see Mayor Frank Skeffington emerge from his bedroom, dressed and ready to go. 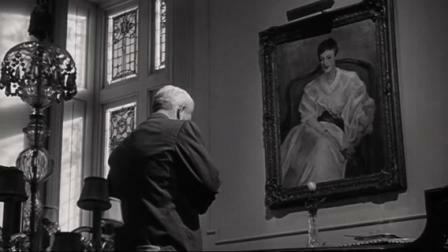 He pauses before a portrait of his late wife before going to meet with his political operatives to plan the next campaign. Skeffington’s a wily rascal, a product of the slums who hasn’t forgotten his roots or from where his power comes, as he visits a local widow at her late husband’s wake and hands her an envelope of cash, telling her it was his own late spouse’s last wish, then strong-arms the undertaker into giving the Widow Minnihan a discount. Skeffington is not above using his office for blackmail, and rumors of graft surround him, especially among the city’s blue blood elite. 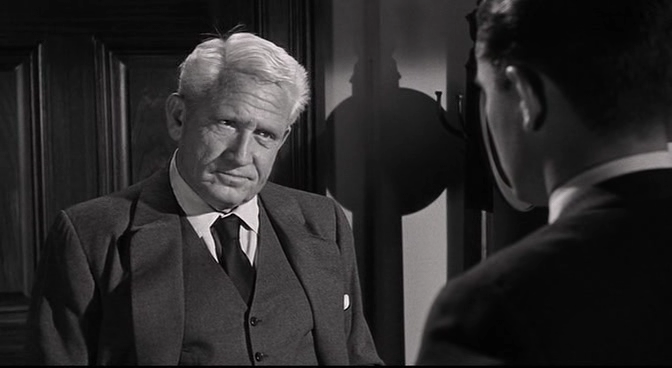 That such a charming scoundrel is played by the great Spencer Tracy only adds to his likability. Tracy was one of the most extraordinary screen actors ever, Golden Age or current, a performer who relied on instinct rather than method. Watch any Tracy film; he plays his roles so natural, you can’t see the seems. The film follows Skeffington as he runs his old-school campaign, in contrast to his telegenic Kennedyesque opponent Kevin McClusky, who’s backed by the Yankee Brahmin. It’s basically a series of vignettes as Skeffington’s nephew, local sportswriter Adam Caulfield, is invited to join in for an inside look at politics. Ford regular Jeffrey Hunter (THE SEARCHERS, SERGEANT RUTLEDGE) plays Adam, representing the new generation, and serving as a sounding board for Tracy’s Skeffington as he bemoans the loss of the old ways to media saturation and manipulation (though Skeffington’s no slouch in the manipulation department himself!). Tip O’Neill once said “All politics is local”, and that sums up Frank Skeffington in a nutshell. THE LAST HURRAH is populated by a cast of veterans on both sides of the campaign trail. It seems like the entire “Hollywood Irish Mafia” is on hand for this one, with the exception of James Cagney (who refused to work with Ford again after their MISTER ROBERTS behind-the-scenes fiasco). 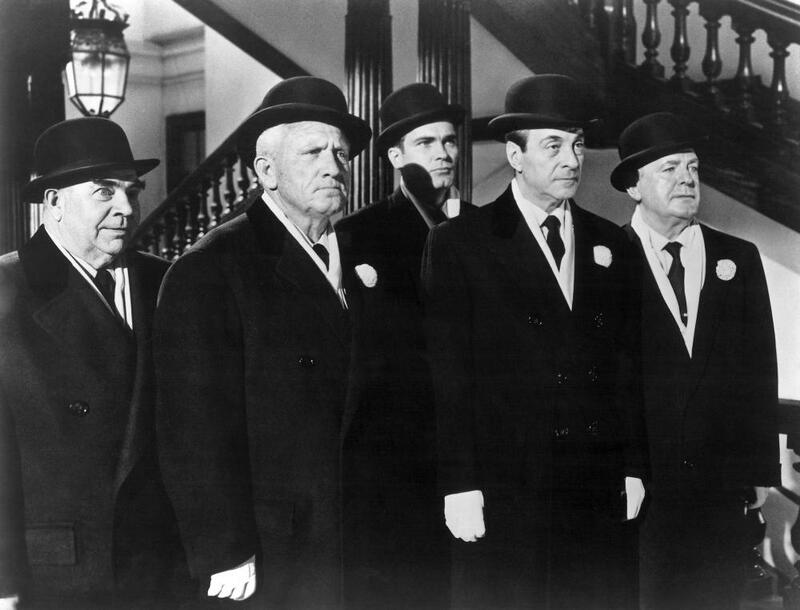 Skeffington’s ward heelers include Pat O’Brien as his chief operative Joe Gorman, Ricardo Cortez representing the Jewish voters, James Gleason as pugnacious ‘Cuke’ Gillan, and Carelton Young as the blue-blooded Winslow, who’s crossed over to Skeffington’s side. But of all the mayor’s men, I absolutely LOVE LOVE LOVE Ed Brophy as Ditto, the dense but loyal ward boss who acts as court jester to Skeffington. Ditto lives for serving Hizzoner, down to wearing a duplicate of the mayor’s trademark Homburg hat (which he calls his “Grey Hamburger”). The undying affection Ditto has for Skeffington is palpable, and is reciprocated by the mayor. It’s Brophy who’s in the final shot, taking that long walk up the flight of stairs, head down, to pay respects to his boss, and Brophy gives a marvelous all-around performance. 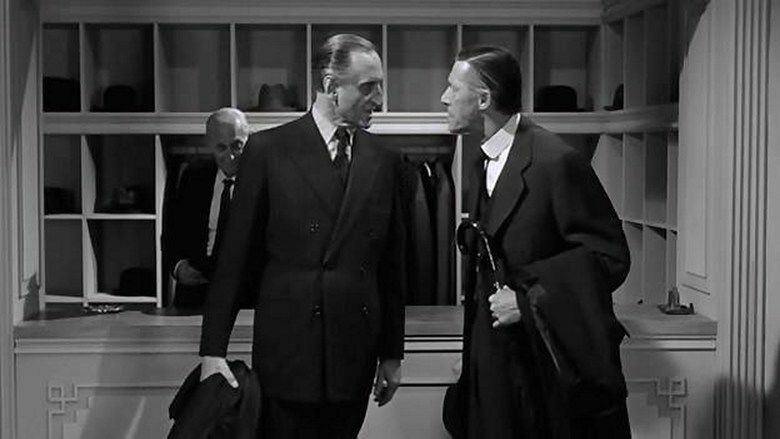 The blue bloods are represented by Basil Rathbone as banker Norman Cass and John Carradine as publisher Amos Force, and with those eminent screen villains you just know they’re the bad guys, along with Basil Ruysdael as the Protestant bishop. Donald Crisp is the Catholic Cardinal, who grew up in the same slum as Skeffington but is on the opposite side of the political spectrum. 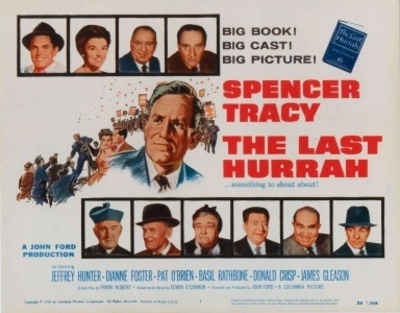 Wallace Ford plays perennial candidate Charles J. Hennessy, who always runs and loses (there’s one in every town! ), and Frank McHugh his ever-optimistic campaign manager. Among those who shine in smaller roles there’s Anna Lee as the Widow Minnihan, Jane Darwell in a comic cameo as an old lady who goes to all the local wakes (and there’s one of them in every town, too! 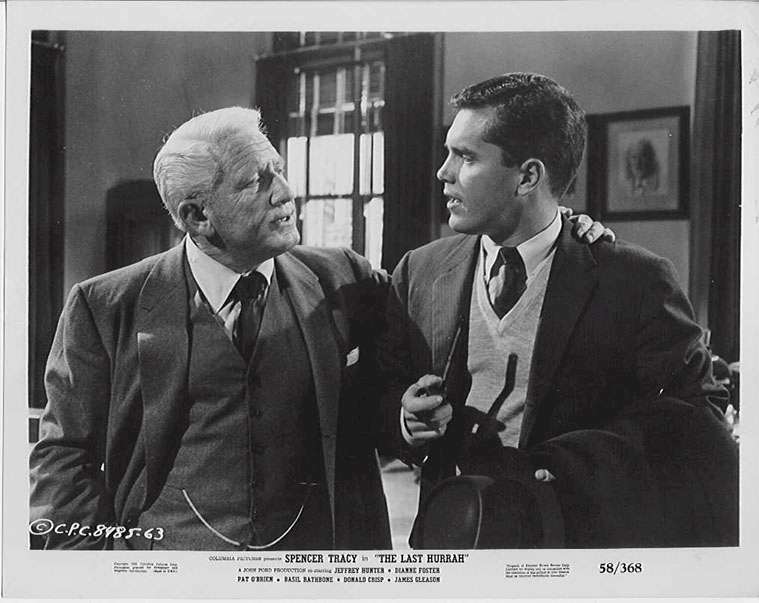 ), Willis Bouchey as Adam’s anti-Skeffington father-in-law, Ken Curtis as Monsignor Killian, Charles B. Fitzsimmons (Maureen O’Hara’s brother) as the vacuous McCluskey, O.Z. 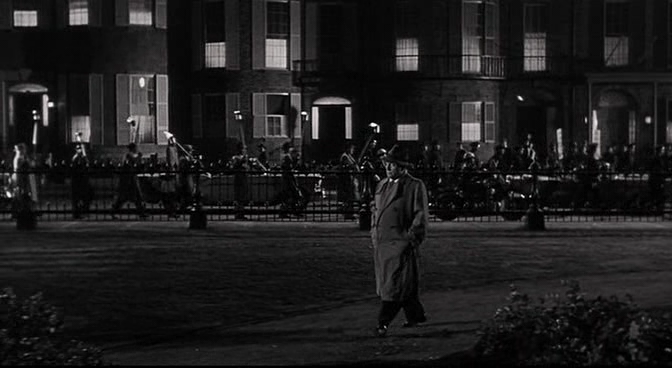 Whitehead as Cass’s equally vacuous son, and many more, some uncredited. Familiar Face spotters will have a good time with this one! THE LAST HURRAH isn’t a Ford classic on a par with STAGECOACH , THE GRAPES OF WRATH, or others. It’s one of those smaller Ford efforts, despite the high-powered cast, a rumination on simpler times. The Skeffington machine gets outgunned by modern technology, allowing a pretty-boy puppet to replace the older, more experienced pol. This is progress? Whatever side of the political divide you fall on, you have to agree we need more charming rascals like Frank Skeffington, who actually care about their constituency, and less of those acrimonious, talking-point-repeating elitists who think they know what’s best for us unwashed masses and only serve to divide. But before I turn this into a political diatribe and piss half you Dear Readers off… just go watch the movie! Look at that cast! 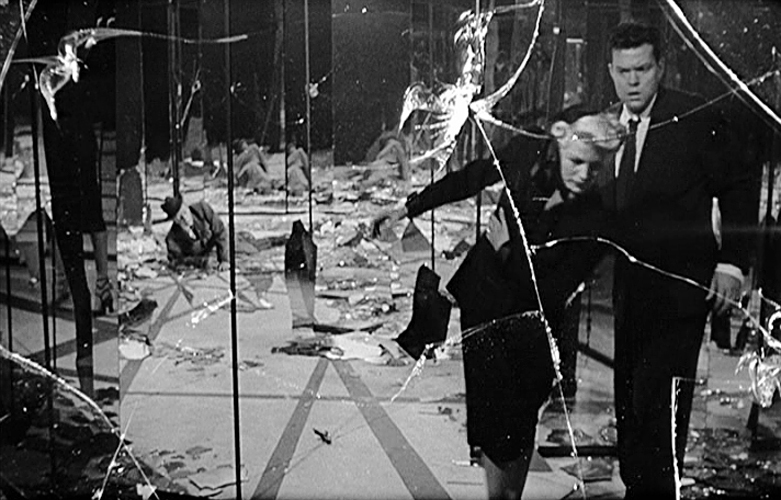 Here’s another film you’ve introduced me to that I’ve never heard of before. Can’t wait to see it. Thanks! Yep, the gang’s all here for this lesser known but great Ford film!